In partnership with advisory board member Amy O’Leary, Ph.D., Associate Director for Environment, Planning and Economics Research at the Virginia Transportation Research Center (VTRC), VA’s LTAP is pleased to present a series of on-going research spotlights. Every few months, we’ll bring you updates about research being put into action to increase efficiencies and provide sustainable transportation solutions. This month’s Research in Action features the Virginia Smart Road Network, representing many miles of simulated highway and urban roadways with a rural testbed coming in 2020. Administered by the Virginia Tech Transportation Institute (VTTI), the testbeds are some of the world’s most advanced testing facilities for transportation technology and safety research, with more than 30,000 hours of research already conducted at the facility. In 2000, VTTI and VDOT worked together to create a 2.2-mile highway testbed where all types of road conditions could be simulated and new technologies could be evaluated. The test track allows researchers to create various highway scenarios to simulate real driving conditions. Surveillance cameras and embedded sensors allow researchers to evaluate traffic, equipment and driver performance. The closed network keeps testing off public roads and offers evaluation of a countless number of real-world applications. Many different pavement treatments and even automated vehicle technologies have been tested under a variety of simulated conditions, including traffic volume and even rain, snow and fog. In 2017, the Smart Road was expanded to include an urban course to simulate neighborhood and other city traffic conditions. Different building configurations, bus stops, motorized cutout pedestrians and cross walks provide the backdrop to test low-speed, stop-and-start traffic conditions. Researchers are now turning their attention to a critical missing component – the rural environment. Rural roads are a particular concern, making up two-thirds of all roads in the US while accounting for 2.4 times more traffic fatalities than in urban areas. Now under construction, the rural road expansion will include 3.5 miles of narrow rural roads complete with 4-way intersections, short sight distances, bridges, soft grass shoulders, natural foliage and blind curves – many of the challenging conditions drivers face on rural roads today. Jimmy White, a senior research scientist with the Virginia Transportation Research Council, is overseeing the development of the rural road system. During a 50-year career with VDOT, White was involved with the early development of interstate systems and even an underwater tunnel. The opportunity to help researchers better understand the rural road environment was strongly appealing. 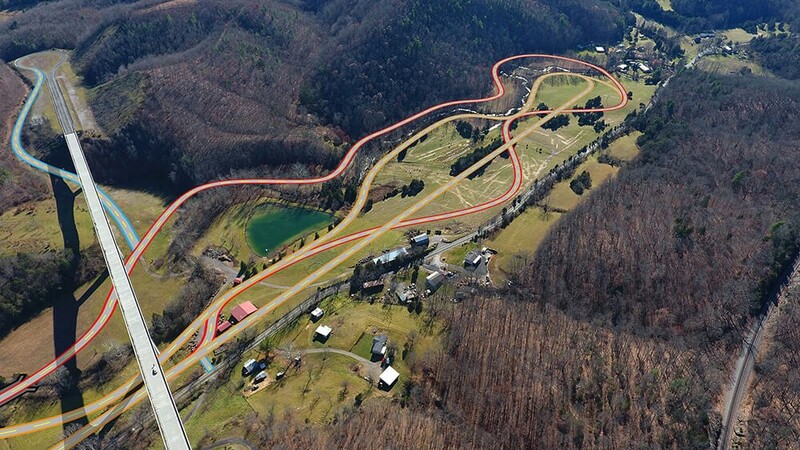 The rural test track is expected to be completed next year. Together with the highway and urban testbeds, the Virginia Smart Road Network offers researchers, transportation planners and product developers a comprehensive transportation research environment. Importantly, it offers a unique opportunity to test and optimize the performance and reliability of next generation vehicle technologies, particularly crash warning and avoidance, in a rural context.